Product prices and availability are accurate as of 2019-04-20 15:04:27 UTC and are subject to change. Any price and availability information displayed on http://www.amazon.com/ at the time of purchase will apply to the purchase of this product. 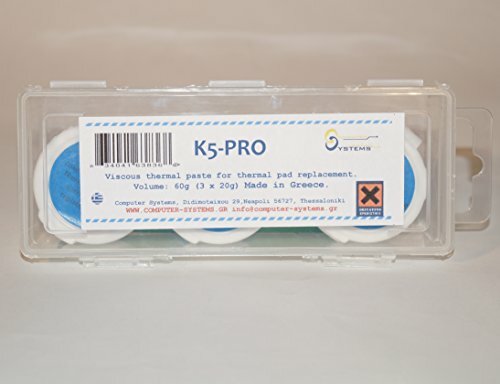 K5-PRO viscous thermal paste is developed and produced by Computer Systems laboratories research department. This product was developed as part of C.S. Labs BGA rework research project with the support of Greece and Europian Union. This product is designed to reduce the chances of BGA component failure for reasons related to overheating. 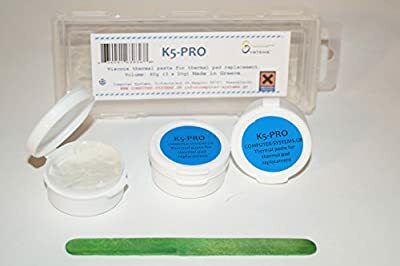 This listing is offering a packet of K5-PRO gummy thermal paste .This packet includes 3 X 20g of K5-PRO gummy thermal paste for use instead of soft thermal pads that are usually installed inside computers and other commercial electronics. This quantity is enough for about 120 applications. 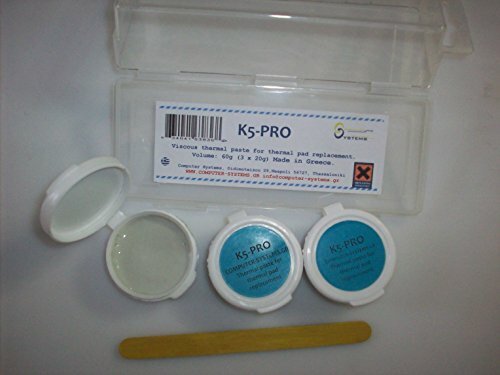 Packet contains: 3 X 20g (60g in total) K5-PRO high quality / high thermal conductivity gummy thermal paste You can see our application instructions videos on our youtube page " ComputerSystemsGR ". 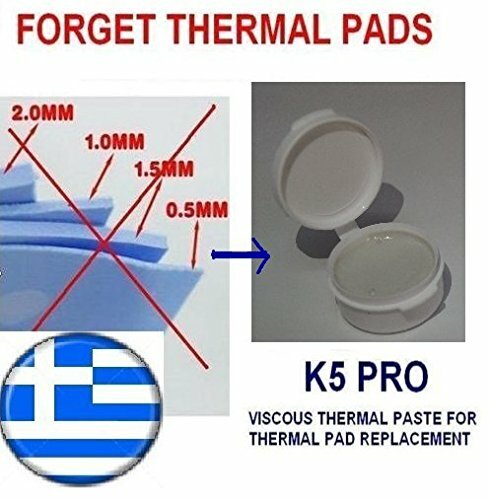 When you should replace the thermal paste / pads in your computer: Thermal paste and thermal pads should be replaced every time that the heat sink is removed (for cleaning, upgrade or other maintenance). Replacing the thermal pads and the gummy thermal paste that is used by Apple on the memory chips is very important if the heat sink is removed because if you reuse the same thermal pads or paste the heat sink is impossible to fit perfectly again and the component will be overheated and will fail soon. If your computer is overheated or turns off after a few hours of use. In this case the entire heatsink system must be cleaned immediately and all thermal paste and thermal pads must be replaced. Price includes VAT 23%. 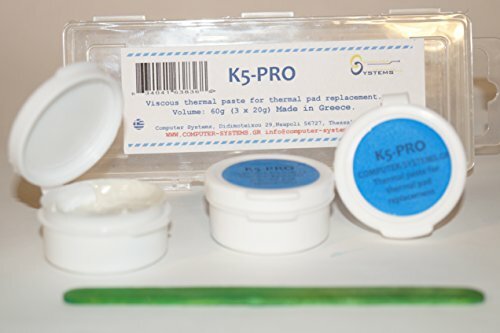 K5-PRO is produced in EU (Greece) and will be shipped directly from our production center in Thessaloniki Greece.